Sending your son to camp is one of the best things you can do for them. At camp, children constantly learn new life skills while having endless hours of fun. And what better place to do that then at Camp Shohola? We are a summer camp near New York that strives to teach boys new skills that will stay with them once they leave this summer and give them the best summer ever! Keep on reading to learn about the benefits of summer camp and what boys will gain by attending overnight camp this summer. One of the best aspects of attending summer camp is the community. We strive to create a safe and encouraging environment where boys are free to participate in any activity they want. They don’t have to be afraid of failure or being judged by their peers. We embrace diversity and allow boys to feel free to be themselves. We pride ourselves on the “society of friends” that we have created! From the second that boys get dropped off at overnight camp, they become independent. Over the summer, boys will learn how to take care of themselves and how to live without the constant supervision from parents. At overnight camp, boys will learn and grow everyday. Through a variety of overnight camp activities, boys will set personal goals, practice old skills, and learn some new tips. Our overnight camp staff is trained, experienced, and prepared to help our campers try their hardest in whatever activities they choose. Boys will become more confident in their abilities and in themselves by the end of the summer. 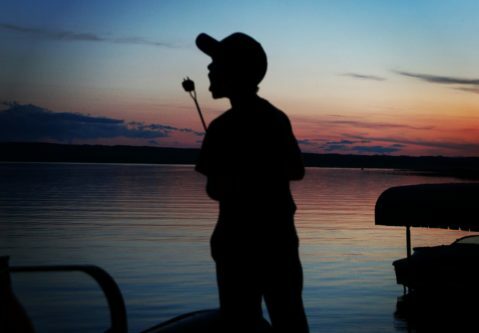 Another great part of attending overnight camp is the fact that boys will reconnect with nature. Instead of sitting in front of a screen or being bored all summer, boys will get to explore the great outdoors and appreciate the beauty of our campgrounds. Our overnight camp facilities include a variety of fields, courts, and a waterfront, the perfect places for children to spend some much needed time outside.